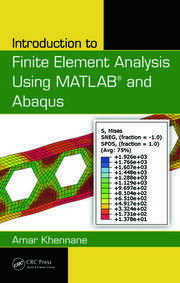 Finite element analysis has become the most popular technique for studying engineering structures in detail. It is particularly useful whenever the complexity of the geometry or of the loading is such that alternative methods are inappropriate. 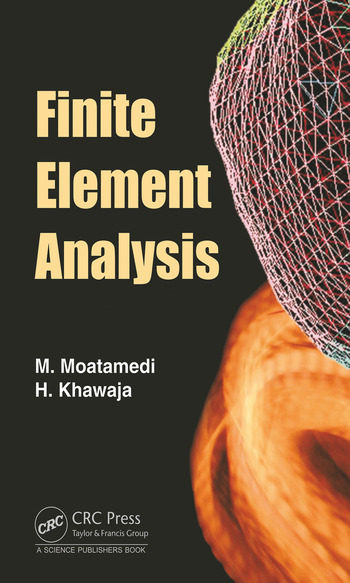 The finite element method is based on the premise that a complex structure can be broken down into finitely many smaller pieces (elements), the behaviour of each of which is known or can be postulated. These elements might then be assembled in some sense to model the behaviour of the structure. Intuitively this premise seems reasonable, but there are many important questions that need to be answered. 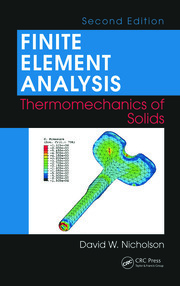 In order to answer them it is necessary to apply a degree of mathematical rigour to the development of finite element techniques. 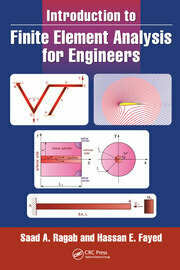 The approach that will be taken in this book is to develop the fundamental ideas and methodologies based on an intuitive engineering approach, and then to support them with appropriate mathematical proofs where necessary. 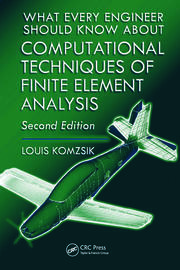 It will rapidly become clear that the finite element method is an extremely powerful tool for the analysis of structures (and for other field problems), but that the volume of calculations required to solve all but the most trivial of them is such that the assistance of a computer is necessary. 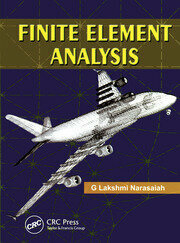 As stated above, many questions arise concerning finite element analysis. Some of these questions are associated with the fundamental mathematical formulations, some with numerical solution techniques, and others with the practical application of the method. In order to answer these questions, the engineer/analyst needs to understand both the nature and limitations of the finite element approximation and the fundamental behaviour of the structure. Misapplication of finite element analysis programs is most likely to arise when the analyst is ignorant of engineering phenomena. Professor Moatamedi completed his MSc and PhD at The University of Sheffield, MBA at Manchester Business School of The University of anchester; and LLM International Business Law at The University of Leeds. He holds the Chair of Multiphysics at University of Tromso in Norway. Prior to his current post he was the Technical Manager for the Centre for Nuclear Engineering at Imperial College London. Previously at Narvik University, Cranfield University, The University of Salford and The University of Sheffield, he held senior managerial positions and also carried out research and teaching in the areas of Multiphysics, Fluid Structure Interaction, Modelling and Simulations and Engineering Design. During his stay in Narvik he was the Founding Director of High North Technology Centre; at Cranfield the Director of Motorsport Engineering and Management; and at Salford the Director of the Centre for Engineering Materials and the Director of Aerospace Engineering. He is the author of numerous peer-reviewed publications, commercial reports and presentations including keynote addresses at international symposiums and conferences. He has risen substantial funding for research and innovation projects from the UK and overseas research councils, European Union, industry and other sources. He successfully supervised many PhD students to completion and many more graduate projects. He has extensive teaching experience on a wide range of engineering, management and law subjects including modelling and simulations, project management and intellectual property. He has been an external examiner for many research and teaching programmes internationally including the current engineering courses at Emirates Aviation University. His stakeholders’ management, industrial research and engineering experience includes working with the Ministry of Defence, the Health and Safety Executive, Electrolux, Shell, Hitachi, Rolls Royce, Jaguar, BAE System and Airbus UK. He is the founder, Executive Director and the President of The International Society of Multiphysics (www.multiphysics.org), the Editor-in-Chief of ‘The International Journal of Multiphysics’ and the Chairman of the associated annual conferences. He has also served on advisory boards of many international conferences and events. He is Fellow Member of the Royal Aeronautical Society, Fellow Member of The Nuclear Institute, Member of the American Society of Mechanical Engineers, and Member of the Euro Mediterranean Academy of Arts and Sciences. He served as the Chairman of the Manchester Branch of the Royal Aeronautical Society and he has been a member of a number of national and international scientific committees; and advisor to a few industrial and governmental bodies including the Office for Nuclear Regulations (ONR), in addition to being the lead person to devise the multiphysics competence standards for European Union. He served as a member of the Board of Governors of European Nuclear Education Network and is currently a member of the Council and the Board of Directors of NAFEMS, the Vice Chairman of its Multiphysics Working Group, a board member of CSDI Foundation and also the Vice Chairman of the Association of Aerospace Universities. He has served as a Visiting Professor, Scientist and Senior Research Fellow at a number of institutions including Universities of Manchester (UK), Tongji (China), Kumamoto (Japan), Strathclyde (UK), King Saud (Saudi Arabia), Lille (France); as well as Beijing Institute of Technology (China) and Massachusetts Institute of Technology (USA). Hassan A Khawaja is Associate Professor at the University of Tromsø, Norway. He is a member of the process and gas team at Department of Engineering and Safety and the leader of newly established research group IR imaging, spectroscopy and numerical modelling. He is also serving as a Vice President (Scandinavia) in the International Society of Multiphysics. He is conference coordinator for annually organized Multiphysics Conference and Editorial Manager for the International Journal of Multiphysics. He completed his PhD in CFD-DEM (Computational Fluid Dynamics - Discrete Element Modelling) simulations of two-phase flow in fluidized beds from University of Cambridge in 2013 at the age of 29. He is an accomplished young researcher who has been recognized at an early age and has been awarded distinguished prizes such as the Multiphysics Student Prize in 2010 and the W. F. Redaway Prize in 2011. He has worked on research projects with international research collaborations in the short span of his career. He was the researcher on Norwegian Research Council (NFR) financed project NOTUR - the Norwegian Metacenter for Computational Science (Computational Fluid Dynamics and Discrete Element Modelling of Fluidized Bed). He was Post Doctorate Researcher at Narvik University College (sponsored by NFR under PETROMAKS program). He was also a research fellow at the University of Salford, UK on EU Project: VISIONAIRE. He was granted a pilot research grant on an industry-linked project from Nordland County under the VRI (Programme for Regional R & D and innovation). He is Chief Technical Officer and the founding member of Windtech startup He is an active researcher who has been publishing peer-reviewed journal papers, presenting at international conferences, recuring research funding and encouraging innovative research. He completed formal training in Pedagogical Competence for Higher Education in 2015 and performing his duties as lecturer and supervisor for Bachelors, Masters and PhD students.